Diligent, Articulate & Very Driven... Nick Tiano will be Successful in College! 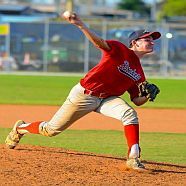 Intensity, Hustle, Grit... Nick Tiano plays like a modern day Pete Rose! A contact hitter who hits to all fields and rarely strikes out. During the last few weeks of scouting and evaluating him during summer ball it is our impression that Nick seems to perform at his best when the pressure is on. The bigger the situation, the bigger the stage, Nick has been a clutch performer his entire baseball career. 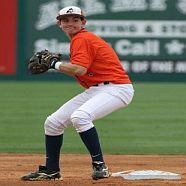 He has a contagious positive attitude with a high baseball IQ. 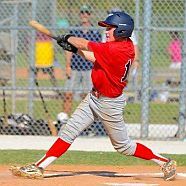 It is our expectation that Nick will surprise college coaches with more pop in his bat and more range and stronger throws as he continues to develop. His has good anticipation and gets great jumps on balls which allow him to get to many that others would struggle with. He never gives up on a play! 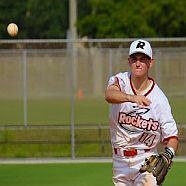 This summer he was used primarily as a middle infielder, however he saw a good amount of innings on the mound. He prides himself on being able to play anywhere to help his team. 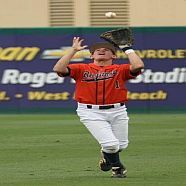 He has also been used as an outfielder, where he is very comfortable. 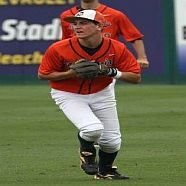 On The Benjamin School varsity baseball team he started at 2B last year as a freshman. His “whatever it takes” positive attitude and hustle are assets that compliment his skills and allow him to earn the respect of his teammates and coaches alike. 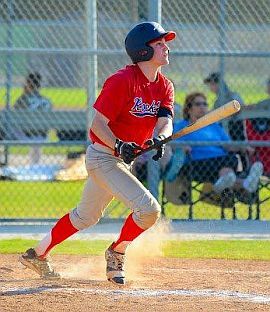 He shows very good leadership qualities and we expect him to be highly recruited by college coaches as he develops in travel ball and varsity high school Baseball at The Benjamin School. 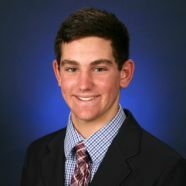 Nick is a diligent honor roll student at the Benjamin School, a college preparatory school in Palm Beach Gardens, FL. Nick Tiano has the support and encouragement of his family who have instilled in him the importance of obtaining a college degree from a great academic institution. Both of Nick’s parents were DIV 1 student – athletes, so athletics runs in the family. His older brother attends Dartmouth College (as did his father) and his older sister is on the Dean’s list at University of Florida, so high academic standards also runs in the family. Nick is very open- minded about leaving South Florida in order to get the best college experience possible. Nick has a 3.1 GPA and is already taking SAT/ACT prep courses to get the highest college entrance exams possible in order to obtain entry into the best college fit for him in the US.